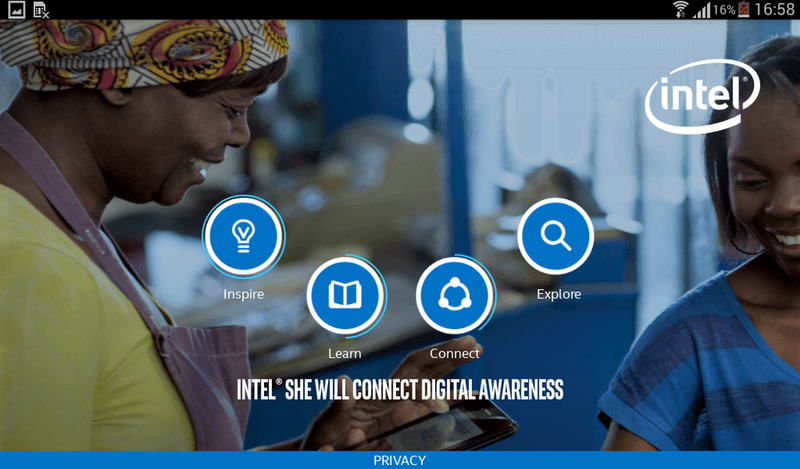 The Intel® She Will Connect program was developed to reduce the Internet gender gap around the world, starting in Sub-Saharan Africa where the gap is the largest. 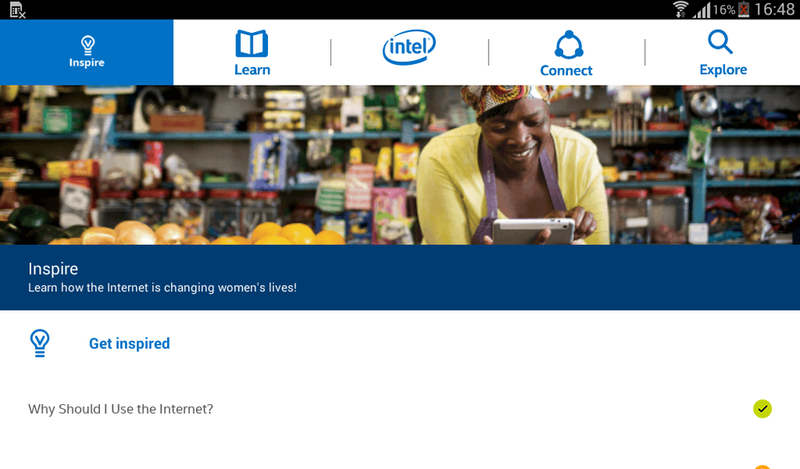 Intel® She Will Connect Awareness is an app for women to learn how to use mobile devices, PCs, and the Internet safely. This app aims to promote gender equality through awareness, basic education, and sharing inspirational stories of women who have benefited greatly by connecting to the Internet. 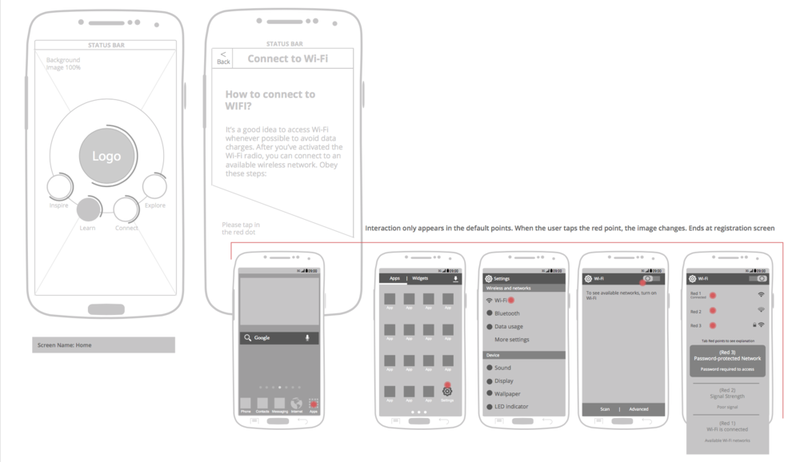 Designing an application for mobile phones with Android OS. 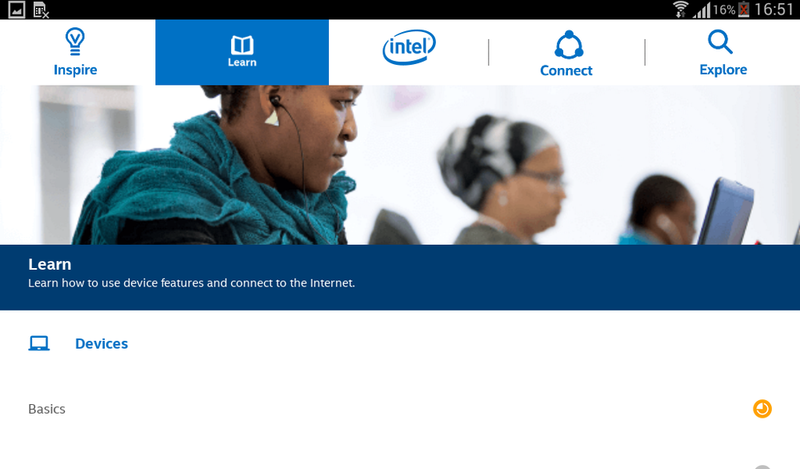 It was built to be used by women on the African continent as a means to empower and facilitate access to technology and better opportunities. Since the target audience of this app were women with nearly none access to technology the team had to do a lot of research on how to properly teach new concepts. We used storytelling as a mean of transmitting the message and develop the concept of the app. It was necessary to do some research on users in Africa in order to define the content of the application. It was necessary to start with the ideation and content strategy phase in order to define what kind of texts and images the app was going to display. 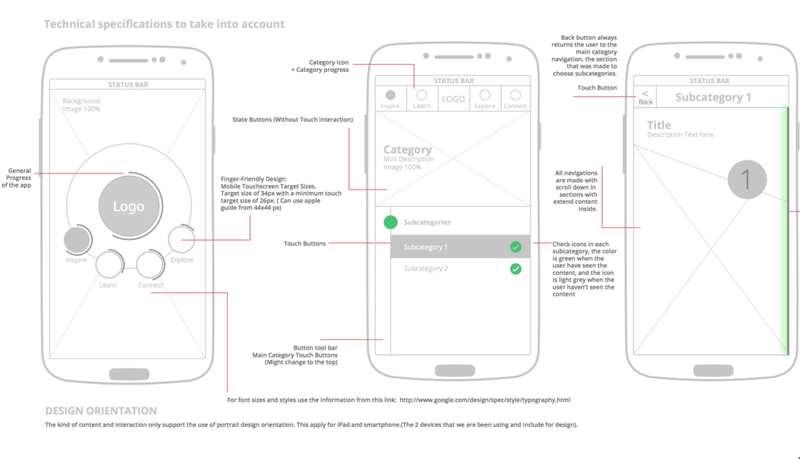 Thereafter the creation of a sitemap and wireframes was crucial in order to assure the correct user interaction with all the elements and content in the app. My role in the development of this app started from the ideation phase, going throw wireframing and prototyping and also supervising the User Interface process in order to ensure the best User Experience for women in Africa. This app includes easy-to-understand learning instructions, clean modern visuals, educational games, and useful tips. 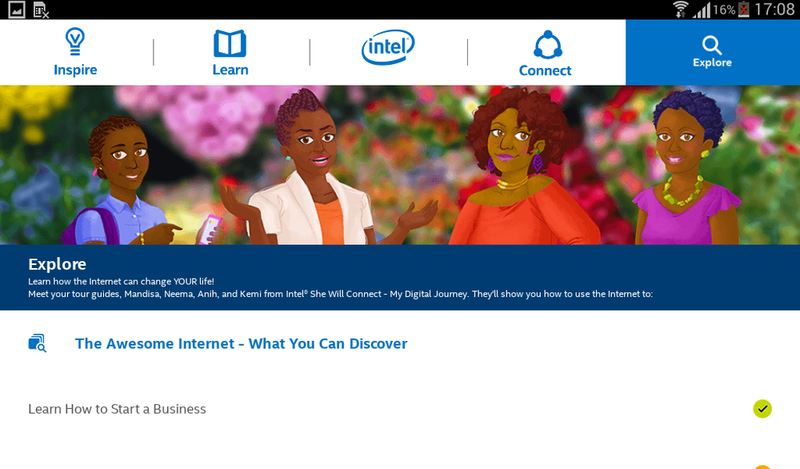 It is intended to give inspiration with women’s stories and help people to learn how to use technology in order to access the Internet, set up email accounts, and navigate in Internet safety. The application is available in the “Google Play Store” and it has good reviews from users. This project was developed by Lionbridge, in collaboration between the team in Costa Rica and the developers in Mumbai, India. The UX phase was developed in collaboration with Ana María Montero.